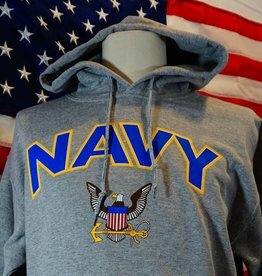 Navy printed on a silk-like material and are hem stitched on all four sides for lasting style. 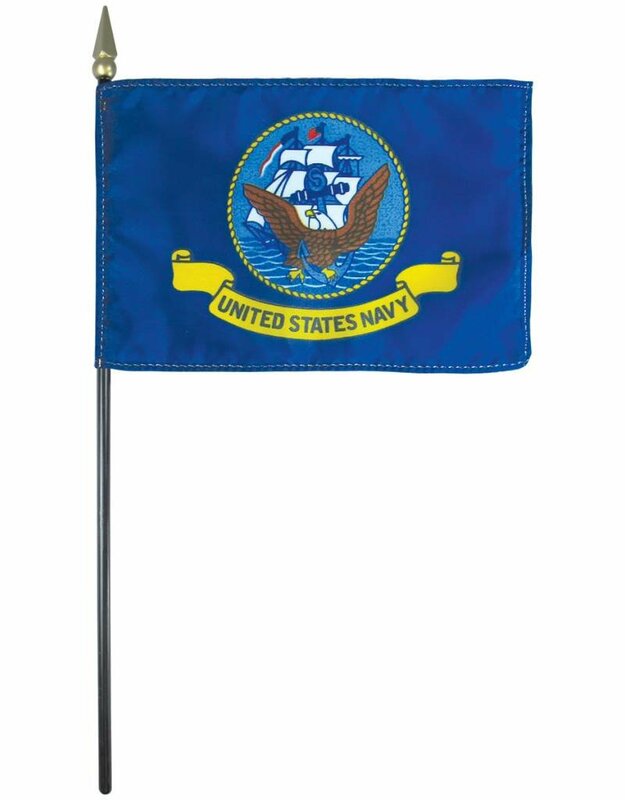 Perfect mounted flag to be used in the classroom or displayed on a desk. 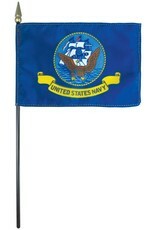 The 4x6" size flags are mounted on a black plastic staff and completed with a gold spear. The 8x12" are mounted on a black wooden staff and completed with a gold spear. 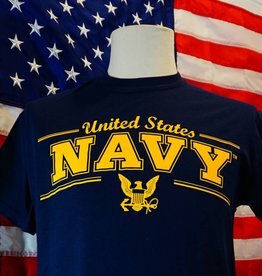 United States Navy printed on Endura-Poly which is mounted on a stick with gold spear tip. Flags are made within the United States. 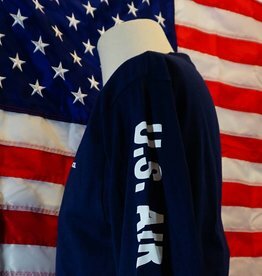 United States Navy Nylon flag finished with pole hem and gold fringe. 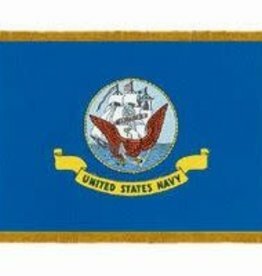 Flags are made in the United States. Available in 3x5' and 4x6' size. 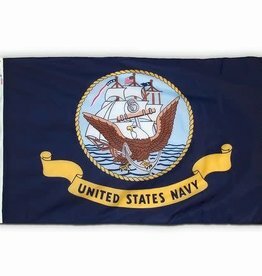 12"x18" printed United States Navy Nylon Garden Flag. Made in United States.